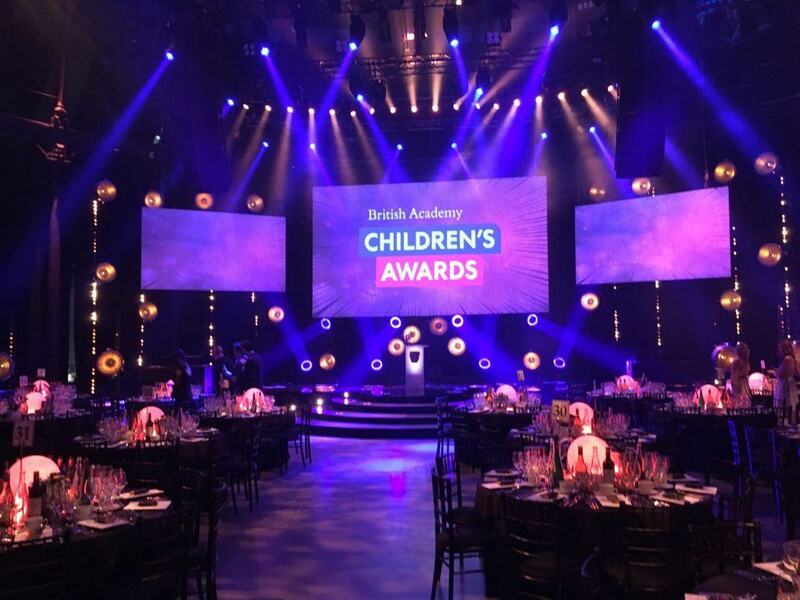 Our team catered for the annual British Academy Children’s Awards at the Roundhouse on Sunday 20th November, in partnership with Ultimate Experience. Following the presentation of awards, guests were seated for a three-course meal, beginning with a starter of Chestnut & Pumpkin Soufflé with truffled honey aioli, soused pumpkin, roasted chestnuts, raisins, capers and mint. The main course was a Slow-Braised Beef Featherblade, served with buttermilk creamed potato, glazed navets and a cabbage and bacon pie, or a vegetarian main course of Celeriac Dhal Pudding with spiced baby aubergine, tender stem broccoli served with a creamed garam masala sauce. For dessert, guests enjoyed a Flourless Chocolate Cake with Baileys mousseline, espresso caviar and raspberries. After dinner, guests celebrated their awards, moving upstairs for an after party on the Roundhouse’s balcony. For some added excitement all the guests, presenters and staff took part in an exceptional attempts at the mannequin challenge. If you’d like to find out more about our awards ceremony menus and catering options please get in touch.